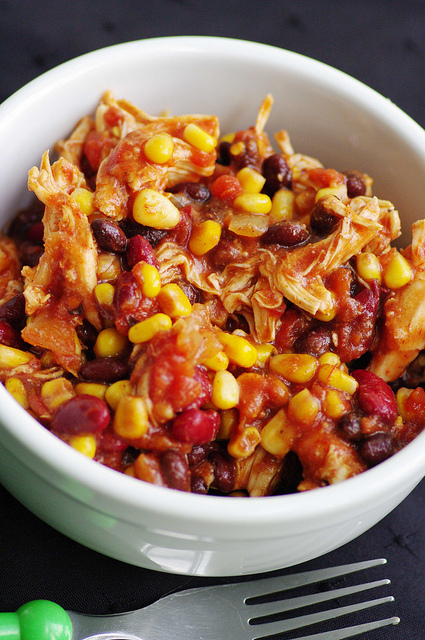 Return chicken to slow cooker and stir in. Top with fresh cilantro. Also try it with low fat cheese and sour cream (extra points).